Faculty are amazing. I know faculty experts in Networking, Fiber Optics, Security, Wireless Communications - even Beowulf. In fact, for just about anything you can think of - there are faculty experts. Unfortunately, most faculty are neophytes when it comes to new media (audio, video, and online content) and more importantly copyright, fair use and their application. To the rescue comes Baruch College - part of the City College of New York (CUNY) System. Baruch's Computing and Technology Center has developed a great resource for their full-time and part-time faculty - The Copyright Metro. This interactive tool prompts users with questions and guides them along the "metro" system based on their answers. When yo get to the last station, you will know whether your intended use is potentially violating copyright and the steps you need to take to ensure that you don't violate copyright and stay within the confines of fair use. The tool even creates a PDF checklist of what you need to do to properly use copyrighted material. Click the image below to take a ride on the copyright metro! The World is Eating Our Kids' Lunch! Good Magazine has posted a great video that raises some really thought-provoking issues regarding the US education system. With a shortage of scientists, engineers, technicians and technologists in the pipeline, it's really troubling that we may be losing the next generation as well. This is something that is discussed at every education conference I attend - unfortunately, no one has figured out the solution. Courtesy of the Design Info tumblr blog. This is a great example of how far technology has come. A few days, a few thousand dollars, a Mac and anyone can recreate the invasion of Normandy. Watching this, I have to wonder - do we really do everything we can to empower our students? ClickZ's Enid Burns details Nielsen Online data tracking the sites most often visited on the Web and the corresponding time spent per person. 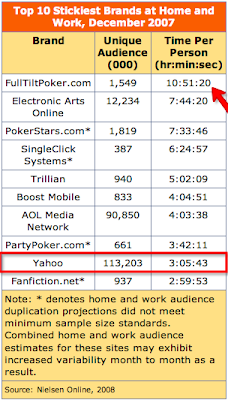 It's interesting to note that Google, Microsoft, Yahoo and Time Warner lead the top 25, each with over 100 million unique visitors in December 2007. 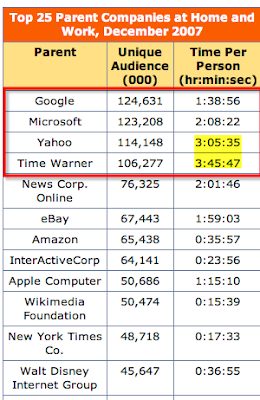 While Google and Microsoft lead, visitors spend significantly more time on Yahoo and Time Warner sites - suggesting that these sites may offer more compelling content. Photo courtesy of Alex Watson. Phil Rees, a British Columbia-based freelance learning technologist and web developer has posted a great presentation on slideshare detailing his first impressions of Wikia Search. Jimmy Wales - founder of Wikipedia - created Wikia Search as a user-powered alternative to search powerhouse Google. 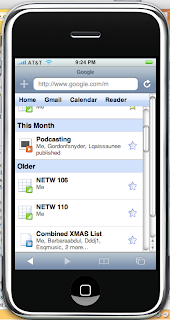 Here's a great slideshare slideshow on using Google Reader as RSS reader from Virginia Commonwealth University. Here's more on RSS from Common Craft. Does this whiteboard know more physics than our students? In an earlier post - September 2006 - I discussed how to avoid Death by PowerPoint (DBPP). And more recently embedded a slideshow with Tips to Avoid DBPP. Edward R. Tufte - professor emeritus of political science, computer science and statistics, and graphic design at Yale, has become the de facto leader of the anti-PowerPoint movement. 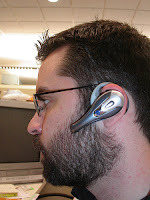 Consider for example his September 2003 Wired Magazine article PowerPoint is Evil. Tufte is also a great resource for best practices in the display and presentation of visual information. On this blog - Ask E.T. - Tufte discusses the pros and cons of the iPhone interface design and has even recorded a great video demonstrating what he thinks is right and wrong with the iPhone interface. Here's a quote from the posting and click on the image below to view the video. 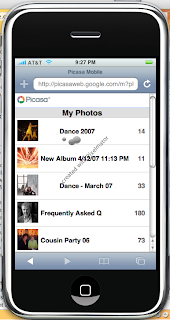 The iPhone platform elegantly solves the design problem of small screens by greatly intensifying the information resolution of each displayed page. Small screens, as on traditional cell phones, show very little information per screen, which in turn leads to deep hierarchies of stacked-up thin information--too often leaving users with 'Where am I?' puzzles. Better to have users looking over material adjacent in space rather than stacked in time. A recurring theme in this blog has been re-thinking how we present and use slideware. Courtesy of Alexei Kapterev and slideshare, here are some great tips to add to our toolbox in our ongoing battle against death by powerpoint. Save as PDF, for when you really need to download your presentation as a file. PDF-based printing options (save trees and ink!). Go to File->Print, select how many slides you'd like on a page (up to 12), and preview your choice. Vector shapes, for your basic diagramming and drawing needs. Use block arrows to point out what's important, or say something in a call-out bubble. 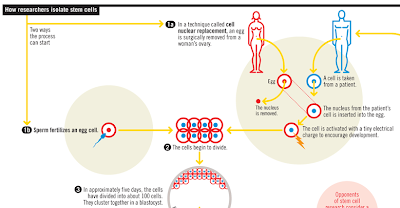 Here's part of a transparency explaining stem cells - really well-done - click the image below to see the entire document. In a digital age of complexity—I forsee visual thinking as playing a key role in business—an effective way to get people to understand complex problems and begin working on solving them. I view visual thinking as a tool. A versatile tool that could fall under the catagory of design thinking. Read more posts on visualization. When mobile phones first came on the scene, there were concerns regarding potential health risks. Most agree that modern cell phones have done much to mitigate these concerns. Unfortunately, the rapid proliferation of cell phones, wireless laptops and pdas, bluetooth headsets and ubiquitous wireless networks has seemingly out-paced our ability to understand the effect of all these wireless signals. commissioned the National Research Council of the National Academies of Science to determine what areas need further study in order to better assess safety. gaps in our current knowledge of biological changes that may result from exposure to wireless radiation and any health outcomes that these produce. potential for risks in specific populations (children, pregnant women, and fetuses). We are living in an age of ambient interruption. ...the new form interruption now comes from our peers. It's pervasive, subtle and ambient—it surrounds us at all times and manifests itself in various forms of technologies and devices. We've given our friends and favorite brands permission to 'interrupt' us, through e-mail, text, IM, social networks—you name it. Garr Reynolds at Presentation Zen makes some great observations regarding Steve Job's keynote at Macworld 2008. 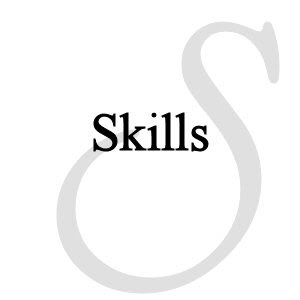 He details six things we can learn from Job's to develop our own unique presentation style. Develop rapport with the audience. Give them an idea of where you're going. It's not about numbers, it's about what the numbers mean. If every educator could apply these lessons to their interactions with students, we would probably see enrollment, retention, test scores, and overall student performance increase. From the 2008 Consumer Electronics Show: Microvision demoed a "pico" projector. 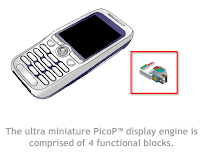 This tiny piece of electronics can be embedded in just about any type of device from cell phone, to PDA, to laptop. I think video is a killer application in education and training. Imagine not having to lug around even a portable projector and being able to deliver a video to a small group anywhere, anytime. 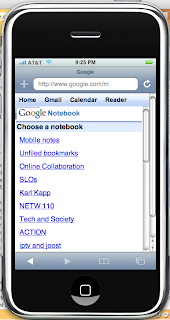 Really opens up all sorts of possibilities for mobile or m-learning. Video and potential applications follow. 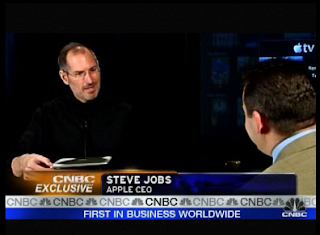 Here's a NYTimes.com video ~6 minutes - CNBC exclusive interview with Steve Jobs. If you have more time, here's Steve Jobs keynote from 1/15/08. I didn't know about this - could be a great resource for images and classroom projects. Here's the link to the actual Library of Congress flickr page. 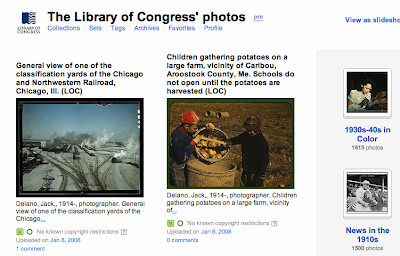 The Library of Congress has launched its pilot project with Flickr. What began last year as a joint effort to bring the public library’s images to the web in a more organized and shareable fashion has finally become a reality. In conjunction with Flickr’s new program called The Commons, the Library of Congress has added about 3,000 of its millions of photos to Flickr albums so far. One of the questions I get asked most often about the iPhone is "Can I View Flash Content?" 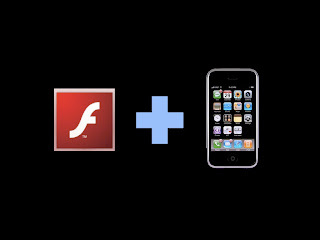 Unfortunately, the browser on the iPhone does not - yet - support flash. Although this limitation has not really been problematic for me, there are websites that have video, audio and other content embedded as flash. 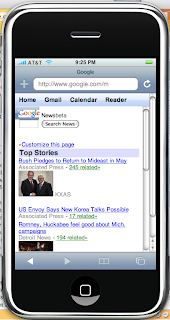 Joe Maller at - you guessed it - joemaller.com has written a really useful bookmarklet for the iPhone web browser. A bookmarklet gets saved in a browser like a bookmark, but instead of opening a new page, a bookmarklet runs a script on the page you're currently viewing. 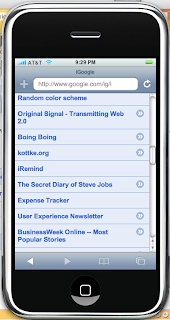 To use a bookmarklet, you save it in your bookmarks bar, and then sync to the iPhone. Here's a quote from Joe about iTransmogrify! 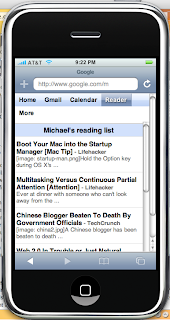 You can get more bookmarklets for the iPhone here and here. Last January, Gordon and I were in San Francisco when Steve Jobs announced the iPhone. From that announcement until the June 29th launch - the iPhone dominated the headlines. 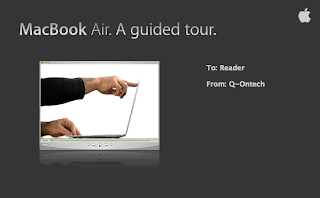 It appears as if Jobs has done it again with today's announcement of the MacBook Air - the thinnest laptop in the world. This time the hype will only last 2 or 3 weeks until these begin shipping. Click the image to watch a guided tour! The Future of Online Learning? At Presentation Zen, Garr Reynolds discusses two videos from our old friend Hans Rosling. As always, Rosling is dynamic and engaging - with a difficult topic: health and poverty. I'm not sure if they've used some sort of green screen or blue screen technology to create these videos, but having the presenter as part of the presentation - especially for someone as dynamic as Rosling - really brings the material to life. Many faculty are experimenting with screencasting - using tools like Camtasia Studio or Profcast. What most of these presentations lack is the urgency and connectedness of a live presentation. If people want to learn how to make better slides they should study good books on graphic design and visual communication to improve their visual literacy. When it comes to designing appropriate visuals, there is a hole in our education. Concerning quantitative displays, for example, very few people have had proper training in how to design graphs and charts, etc. In the end it is about knowing your material deeply and designing visuals that augment and amplify your spoken message. As far as text goes, I say as little as possible on slides, but when text does appear it should be large and serve to complement your words. People did not come to read; they came to hear. Any speaker can read bullet points. The audience wants to hear your story not read it. Audiences should not notice the effects we employ between slides[sic]. The problem with most presentations is that people try to include too much. You can go deep or you can go wide, but you can’t really do both. What is the core message? 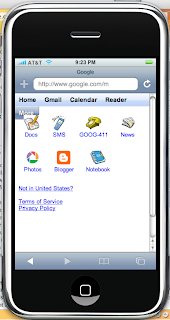 I've been playing with Google's newly updated mobile apps on the iPhone - announced today for the start of MacWorld 2008. 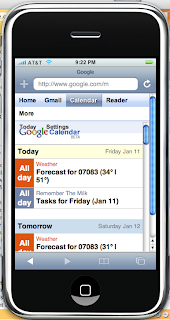 I'm impressed how quick and responsive Gmail is and what a great job they've done integrating the products together. In a Mobile Tech Today article, Frederick Lane describes the genesis and development of these applications. It's really scary how quickly Google was able to do this. The speed with which Grand Prix was developed (just three months from idea to version 2.0) should set off alarm bells up the coast in Redmond, Wash., where Microsoft Relevant Products/Services continues to struggle in its efforts to upgrade and simplify its mobile OS. It seems unlikely that 'Grand Prix' was an accidental choice of name. Windows Vista and Office 2007 - Time to Upgrade? Our campus and many others are struggling with a number of IT issues. A key issue this year has been whether or not to adopt Windows Vista and Office 2007 as a standard. Currently, we run Windows XP and Office 2003. Our academic department - which includes networking - has a Microsoft MSDN Academic Alliance subscription which provides students in our networking program access to Microsoft desktop and server Operating Systems. As you wold expect, technology students always want to try the latest and greatest - and are requesting Windows Vista. Unfortunately, most return to my office expressing their displeasure and frustration with Windows Vista. Many of our students work full-time as IT professionals and have described the operating systems as "unfinished," "buggy," or "still in beta." I've got a digital camera in my office and have started to record small video clips capturing student's complaints with Vista, which I hopw to post on the blog later this year. "The agency that governs educational technology in the United Kingdom has advised schools in the country to keep Microsoft (NSDQ: MSFT)'s Windows Vista operating system and its Office 2007 software out of the classroom and administrative offices. 'Upgrading existing ICT systems to Microsoft Vista or Office 2007 is not recommended,' said the British Educational Communications and Technology Agency, also known as Becta, in a report issued this week. Becta officials said a study the group commissioned found that upgrading school systems from Windows XP to Vista and Office 2007 would increase costs and create software compatibility problems while providing little benefit. 'Our advice is to be sure there is a strong business case for upgrading to these products as the costs are significant and the benefits remain unclear,' said Stephen Lucy, Becta's executive director of strategic technologies, in a statement." Please share your experiences with Vista and Office 2007.
which streams video over Wi-Fi to a video driver component on the Mac. This way, you can use the iPhone’s camera stream in any Mac video program like iChat, Photo Booth or Skype. displays all the gadgets and feeds from tab in a single column. To switch to another tab, choose a name from the drop-down displayed at the bottom of the page. 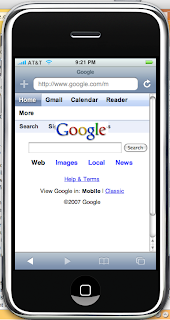 The iPhone interface has a public URL: http://google.com/ig/i, but iPhone users will be automatically redirected to this URL. A prototype flying car, dubbed Sky Commuter Aircraft, has been listed for sale on eBay. The vehicle, which has an electric gas assisted lexan bubble canopy, electric controlled directional driving and landing lights, electric joystick, dual foot pedals for double pilot based controls and an advanced Carbonfiber and Kevlar front dash shell, marks the potential end to the oft visited, flying automobile dreams. 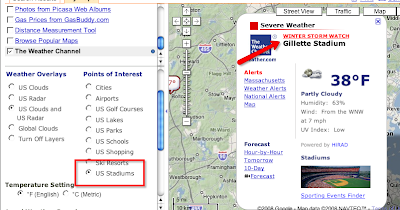 With the recent update to Google Maps you can select points of interest (cities, airports, ski resorts, stadiums, etc) and get detailed weather forecasts. Is bad weather an advantage for New England or Jacksonville? simple and free solution for companies, organizations and individuals who want to get rid of spam without buying and maintaining their own anti spam server or anti-spam software. This is pretty similar to what I am doing, except I use Gmail's imap service. Thanks Gmail100! 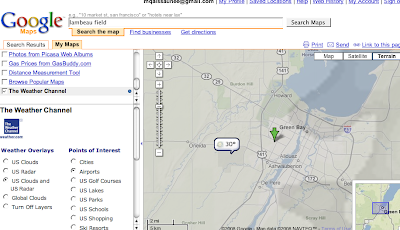 "Planning a trip using Google Maps just got a little easier and useful. Google teamed up with The Weather Channel to create interactive layers that overlay weather data and radar information on top of Google Maps. 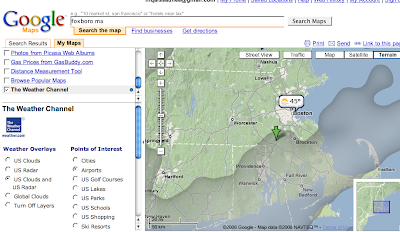 To use the feature click on the Google Maps' My Maps tab and select The Weather Channel feature to begin exploring." Here are a couple samples for Saturday's NFL games. 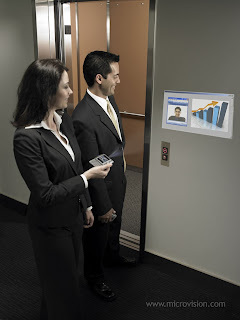 Office 2.0 In Trouble or Just Natural Contraction? One early casualty could be ThinkFree, which looks to be in turmoil. The company’s Web-based versions of Office never really gained much traction—they trail well behind Google Docs, Zoho, and others." It would be a shame to see a promising company like Thinkfree go under, but with so much competition for the online office market, contraction has to be expected. 6. Negligent (adj. ), describes a condition in which you absentmindedly answer the door in your nightie. 7. Gargoyle (n.), an olive-flavored mouthwash. 8. Flatulence (n.) the emergency vehicle that picks you up after you are run over by a steamroller. 9. Balderdash (n.), a rapidly receding hairline. 10. Testicle (n.), a humorous question on an exam. 11. Rectitude (n.), the formal, dignified demeanor assumed by a proctologist immediately before he examines you. 12. Oyster (n.), a person who sprinkles his conversation with Yiddish expressions. 13. Circumvent (n.), the opening in the front of boxer shorts. 14. 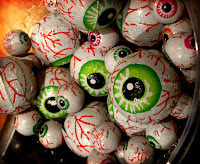 Frisbeetarianism (n.), The belief that, when you die, your soul goes up on the roof and gets stuck there." How Secure is Your Web-Mail? SquirrelMail interface consists of dynamically generated HTML pages. These pages are transfered to user's browser using HTTP protocol. HTTP protocol does not have any built-in encryption functions. Information is transfered in plain text. HTTP traffic contains login passwords and any information viewed or entered in browser. What does that mean? 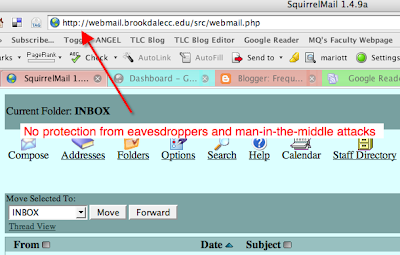 In plain English, that means anything you type while logged into SquirrelMail can be intercepted and read by eavesdroppers. That includes usernames, passwords, credit card and social security numbers, any student information and communication and even private communications that might be embarrassing and/or compromising. Now a little about gmail - not to say that there aren't plenty of other secure web-based mail solutions available. 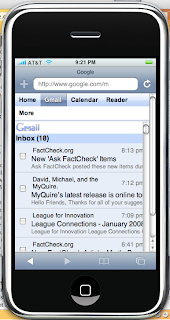 I use gmail because it's free, fast and reliable. When you start using gmail it's through a regular http - unsecured - connection. 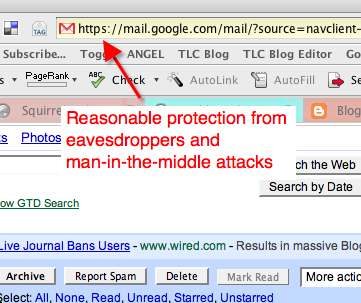 How do you set up secure email in gmail? It's actually much easier than you would think. Instead of typing http:// just type https:// - yes, it's really that simple - just add the "s" and you're communicating over a secure connection. Now for the dirty little secret. Where does SquirrelMail come from? It's actually part of an open source Linux distribution - that's right, your IT department doesn't pay for it. I learned this fact teaching my Linux course, when we looked at what applications to install. You can also install SpamAssassin an open source spam filter. I love open source applications, but we shouldn't be exposing our communications to eavesdroppers and subjecting ourselves to tons of spam just to save a few bucks. The spam has been addressed - at least for faculty, administrators, and staff - with the purchase and installation of a spam appliance from barracuda. Unfortunately, students are still using insecure email with no reliable spam filtering. Many students don't bother using the campus email solution for these very reasons. What's the solution? It's not hard. Consider migrating to Google Apps for Education - here's a case study from Arizona State University. Another "quick fix" is to install the already existing secure login and encryption plugins for SquirrelMail. A great slideshare presentation on blogging. If you're interested in blogging, this will give you direction. A compilation of 25 basic styles of blogging including tips on how often to use each and potential to create buzz and blog traffic by using each. Here's an interesting story from the BBC News Clarkson stung after bank prank. 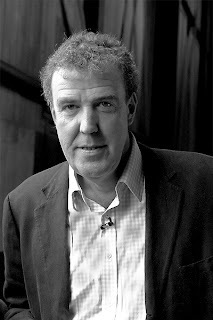 Jeremy Clarkson, host of the TV show Top Gear, was downplaying the risks associated with the October 2007 loss of two CDs containing personal information on 25 million people. To illustrate that furor over the data loss was much ado about nothing, Clarkson published his own personal information - details of his Barclays account, and how to find his address - in The Sun tabloid. As he detailed in his Sunday Times column, Clarkson learned his lesson very quickly, when a reader using the details he provided created a £500 ($982.75) direct debit to the charity Diabetes UK. is an English broadcaster, and writer who specialises in motoring. He writes weekly columns for The Sunday Times and The Sun, but is better known for his role on the BBC TV show Top Gear. #1 Don't stray too far from what you know - your core competency. #2 Never, never, never dare a hacker! Thomas Hoffman provides a great overview of Computerworld's first-half 2008 Vital Signs survey, which identifies the top 8 skills in demand for 2008. 1. Programming/application development. 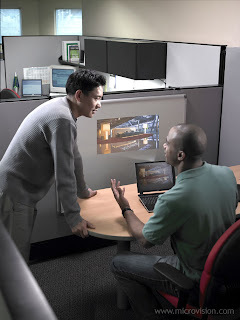 These include Web 2.0 skills (AJAX, .Net and PHP) and integrations of Microsoft's Silverlight - an alternative to Flash. 2. Project management. There is demand for people with real-world project management experience, not just someone with a Project Management Professional (PMP) certification . 3. Help desk/technical support. More applications (web-based or not) and more complex applications requires greater technical support. 4. Security. Ever-present demand for professionals with core security credentials (intrusion-detection, government security clearances, database and wireless security). 5. Data centers. Companies are upgrading and relocating data centers to benefit from virtualization, data automation, and respond to external storage requirements such as Sarbanes-Oxley act (SOX) and the Health Insurance Portability and Accountability Act (HIPAA). 6. Business knowledge. Increasingly, companies are looking for IT professionals with knowledge of the businesses they support - often referred to as business intelligence. 7 & 8. Networking and telecommunications. Current networking skills in demand include general network administration, network convergence, wireless and network security. Here's Bill Gates giving the people from Scientific American a personal demo of the Surface Multi-Touch table[click to watch video]. According to Microsoft, these should begin to show up in hotels and restaurants and as prices drop, as a consumer product. Compare to Jeff Han's multi-touch devices and of course the Apple iPhone. I think these devices are particularly exciting for education. Consider how little the traditional chalk/whiteboard has changed in the last 50 or 60 years, and imagine what we could do with a board like this - I don't even know what we'd call it. This is a feature that's been available from slideshare since their slideshow-sharing service began. Read previous slideshare posts. Other new features include the ability to import individual slides from other presentations (google docs or powerpoint) into an existing presentation, drag and drop image insertion, improved slide sorting, and easier modification of themes and backgrounds. Read more at the Official Docs Blog or view this embedded presentation. What's really exciting is that Google has declared that "2008 is going to be a feature packed year for Google Docs." I cant wait! Sorry I haven't blogged in quite a while - been very busy with my day job. Hopefully, I can get back into a regular blogging schedule. In 2004, Chris Anderson of Wired Magazine coined the term - The Long Tail. In the subsequent book The Long Tail: Why the Future of Business is Selling Less of More , Anderson describes Long Tail businesses (amazon.com and netflix.com) abandoning traditional models (think brick and mortar Barnes and Noble, Blockbuster, CompUSA) of selling products to the large masses and instead focusing on digital distribution - for little or no cost - to smaller niche' market. Anderson argues that a great deal of income is available from that "long tail" of the curve. The availability of downloadable digital music from iTunes, Amazon and others has been a major factor in the erosion of album sales - along with peer-to-peer file sharing. The critical factors, according to Anderson, are the low cost of digital distribution and storage and the ability to leverage niche' markets. Music and video lend themselves to the long tail because they are easily stored and downloaded in digital form. No warehouse; no physical media (CD); no increase in costs whether you're serving 10, 100, or 100,000 customers. As bandwidths continue to increase, old media (music, video, books, magazines, and newspaper) are all going to see their markets shares continue to erode.